Gordon MacIsaac attempts to avoid a photographer after exiting the Elgin St. courthouse in Ottawa, Wednesday, August 13, 2014. In a uniquely Canadian miscarriage of justice, a high-profile assault trial will need to be repeated after a judge relied on her own armchair hockey knowledge to convict a beer league player. In one particularly egregious example, the judge rejected the entire testimony of a witness simply because she assumed that no coach would have sent three defencemen onto the ice in the closing minutes of a losing game. The case surrounded Gordon MacIsaac, a defenceman in the Ottawa Senior Men’s Hockey League who was charged with aggravated assault after allegedly delivering a “deliberate blindside hit” to an opposing player. In the closing minutes of a 2012 game between the Pirates and the Tiger-Cats, MacIsaac — a Tiger-Cat — allegedly jumped into the air with arms raised and delivered a swift blow to opponent Drew Casterton. Casterton, a personal trainer, lost both of his front teeth and suffered a concussion. Still plagued by debilitating headaches, Casterton told the court that he remains unable to work more than six hours per week. 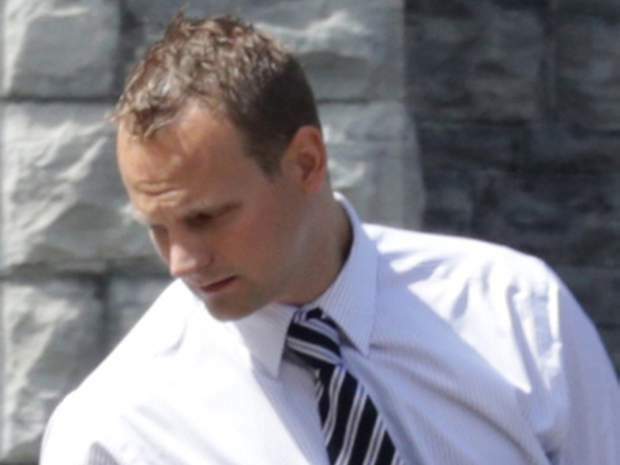 MacIsaac and his lawyer, however, have argued that Casterton had the puck at the time — and that the collision was an unavoidable accident. Although MacIsaac was convicted and sentenced to 18 months’ probation, the ruling was thrown into doubt when appeal judges noted that the decision was peppered with Ontario Court Justice Diane Lahaie’s own biases about hockey strategy. For one, Tiger-Cat Ryan Robinson claimed to have been in the game when the collision occurred, but the judge rejected his testimony because he would have been one of three defencemen on the ice at the time. In fact, teams in the Ottawa Senior Men’s league typically sent out their best players in a game’s final minutes, without regard to position. The judge also made another assumption about defencemen to reject a key claim from MacIsaac that he had accidentally smashed into Casterton while making a play for the Pirates’ net. “It defies logic that Mr. MacIsaac, a defenceman, would have gone to the net in hopes of scoring a goal,” she wrote. While goal-scoring is not the defining role of the defenceman, it happens quite regularly. Bobby Orr, for one, scored 270 goals over his NHL career despite being a defenceman. Lahaie also made repeated guesses about the relative hockey skill of both MacIsaac and Casterton. She also rejected MacIsaac’s claim that Casterton had the puck at the time of the collision, based on her assertion that any player with the puck would have had the spatial awareness to avoid the collision. As the appeal court noted, no medical expert had testified at the trial, and Lahaie had apparently used little more than photos to decide that Casterton’s injuries had obviously been inflicted intentionally. “In my view, the type of injuries that would be suffered as a result of the collision … was not a matter that was within the knowledge of the trial judge,” wrote the Appeal Court. The Monday decision quashes MacIsaac’s conviction on the basis of Lahaie’s “speculative reasoning.” A date for a new trial has not been set.